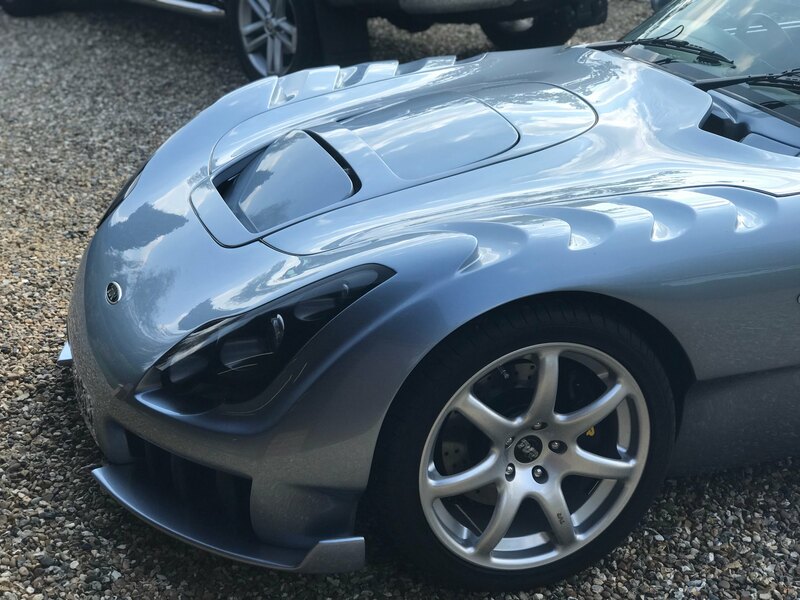 Please enquire to arrange an appointment / viewing. 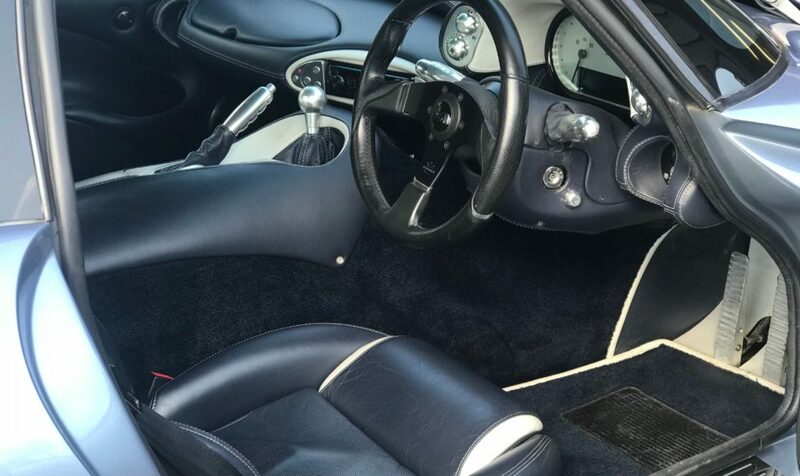 This car is being advertised for the current owner. 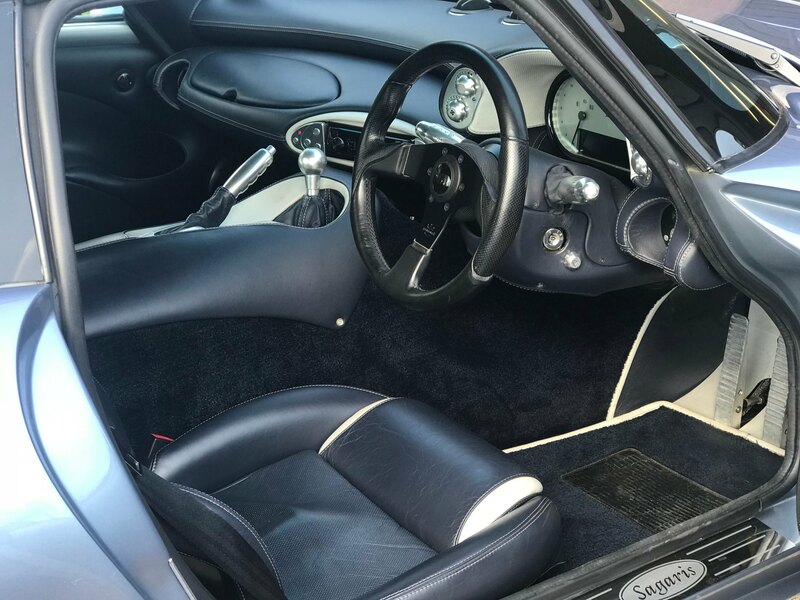 We have visually inspected the car and drove it when we were searching for a Sagaris (For another client) back in late August. 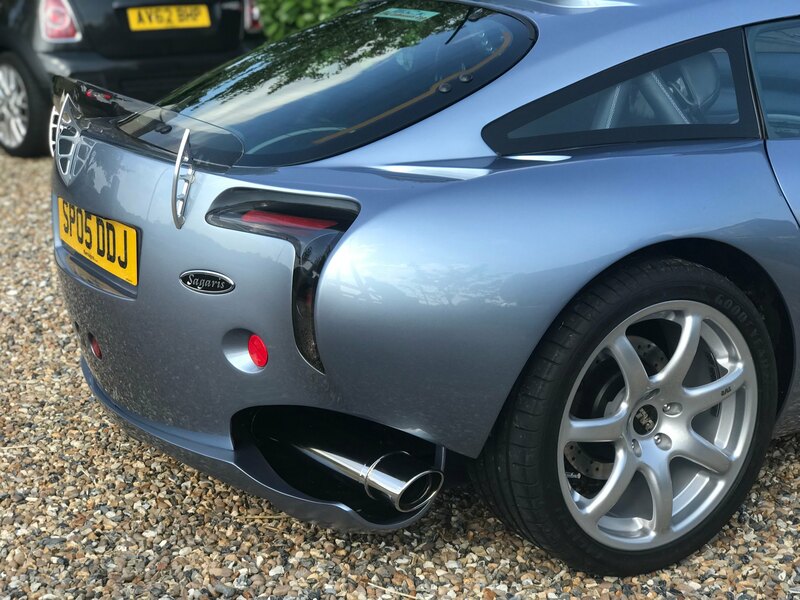 In the end our client at the time went for an Arancio Orange car, but this car came a very close second in his thinking, and we have to say that it does present and drive very well indeed. 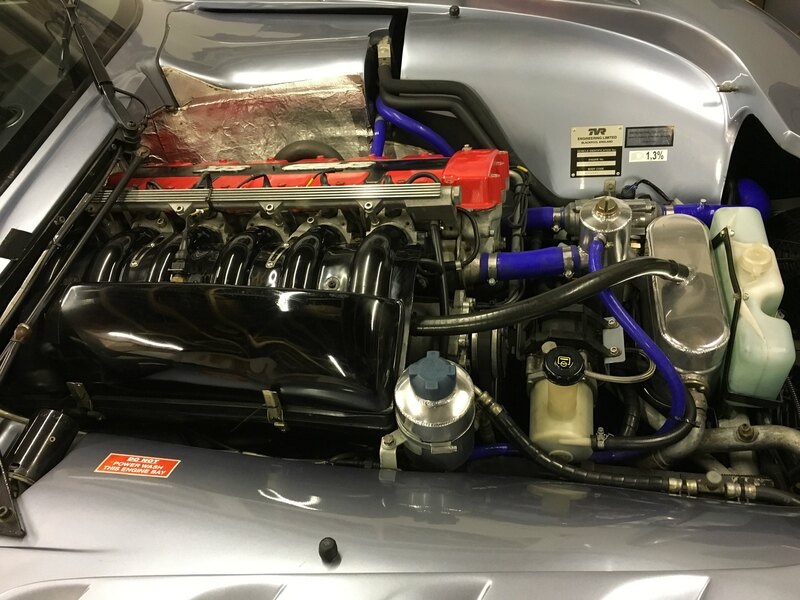 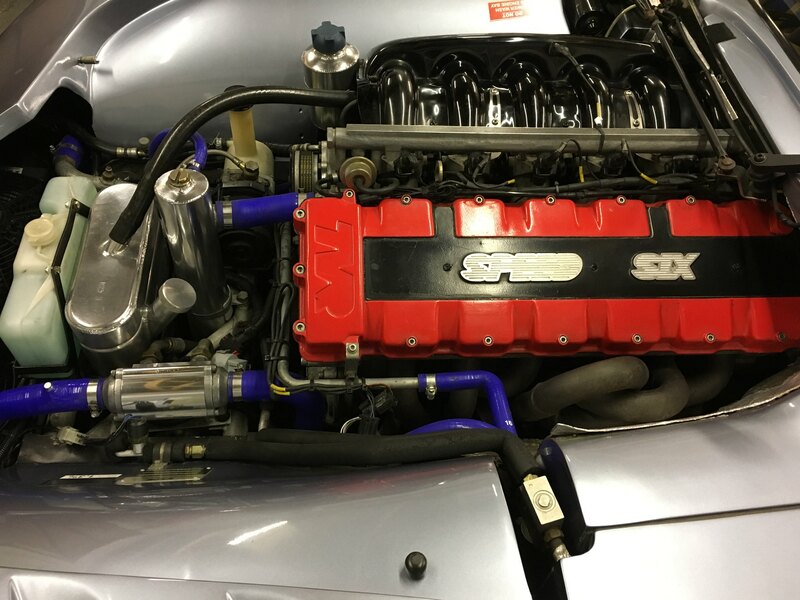 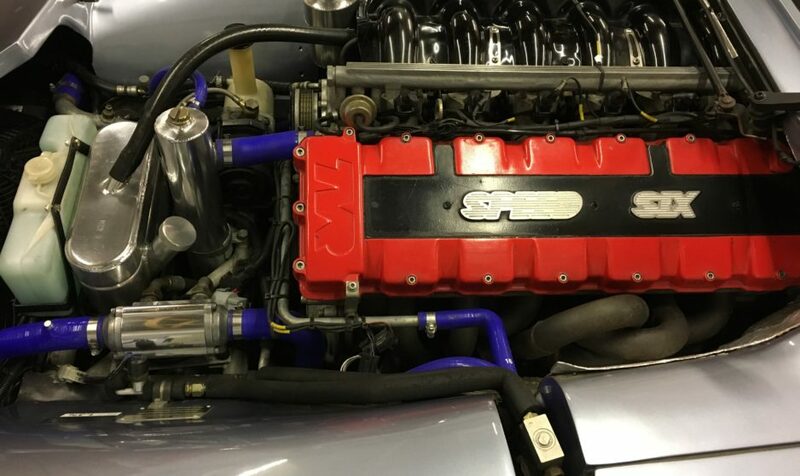 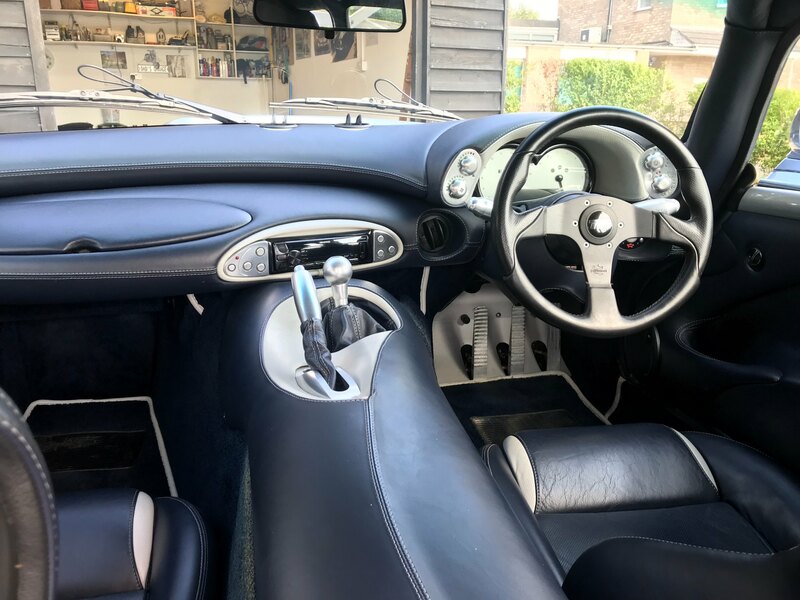 There is an extensive file of history that covers in detail many upgrades and improvements over the years, please get in touch if you would like to have a chat in more detail about this and the car. 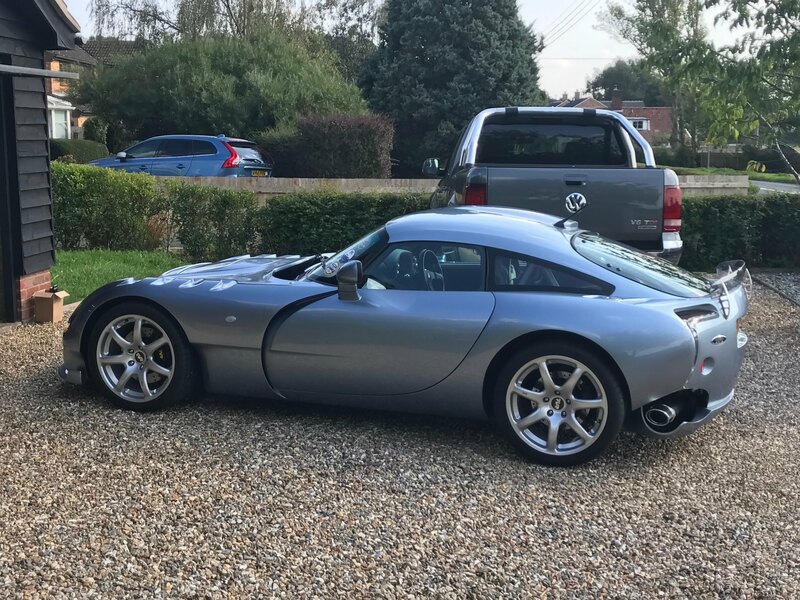 Bought from Kerridges TVR in June 2015. 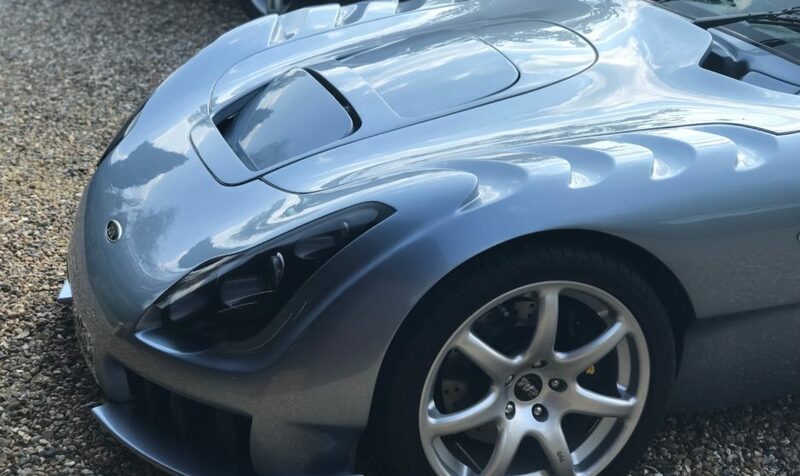 The colour is Meteor Silver. 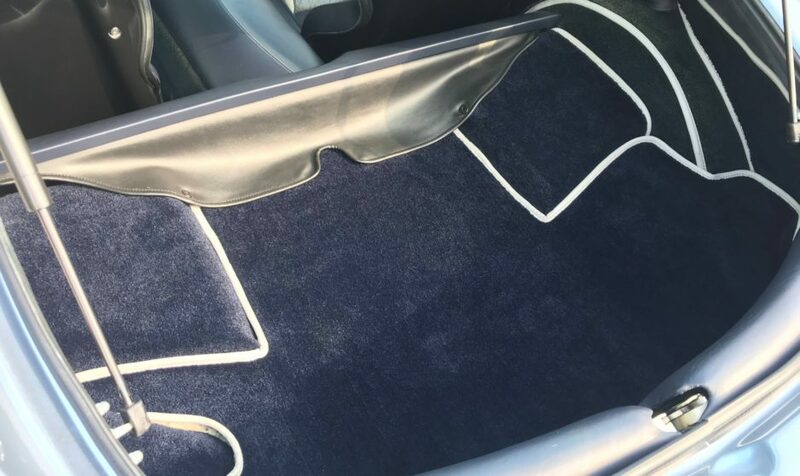 The interior is trimmed in full hide Prussian Blue, with contrasting Portland Grey inserts, all stitched in silver. 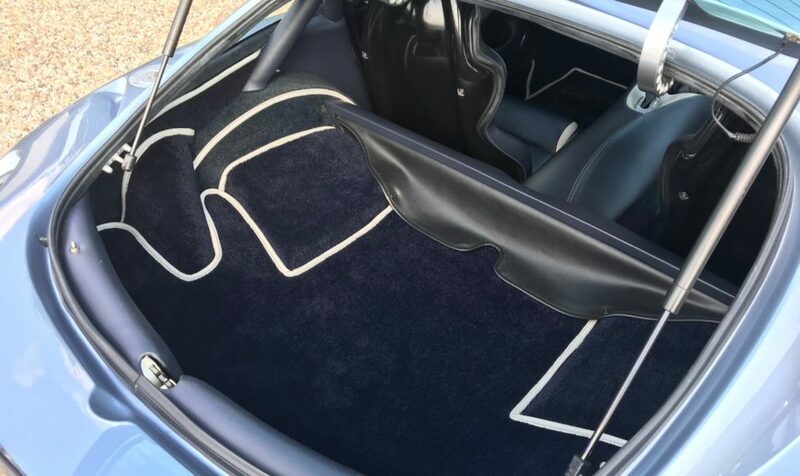 The carpets are navy, piped in Portland Grey leather, and the roll cage has also been trimmed in Prussian Blue leather with silver stitching. 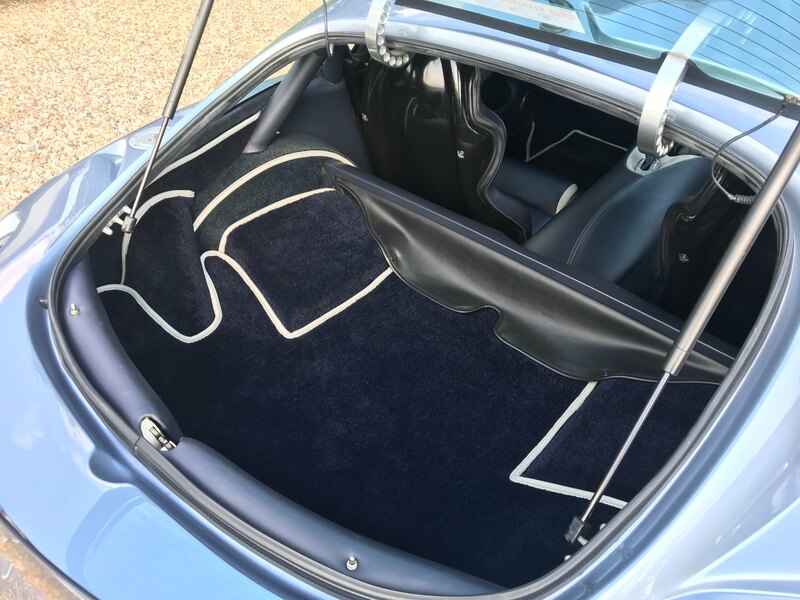 The interior theme is completed by a navy alcantara roof lining. 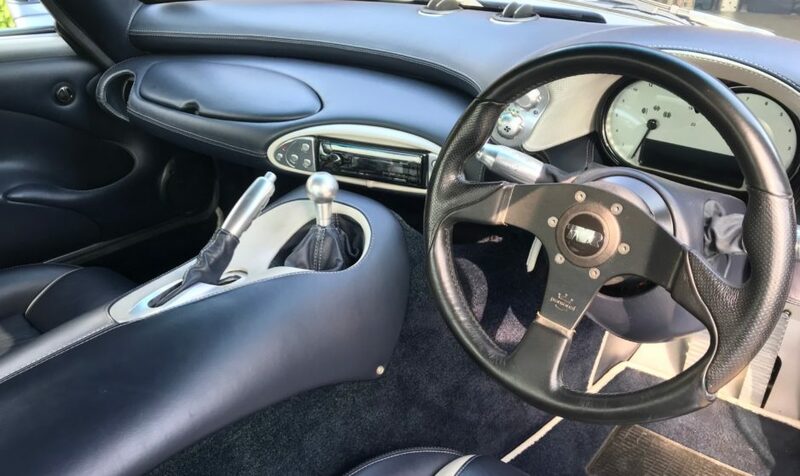 Although the colour is Meteor Silver it has a distinct blue hue to it which contrasts perfectly with the navy blue interior. 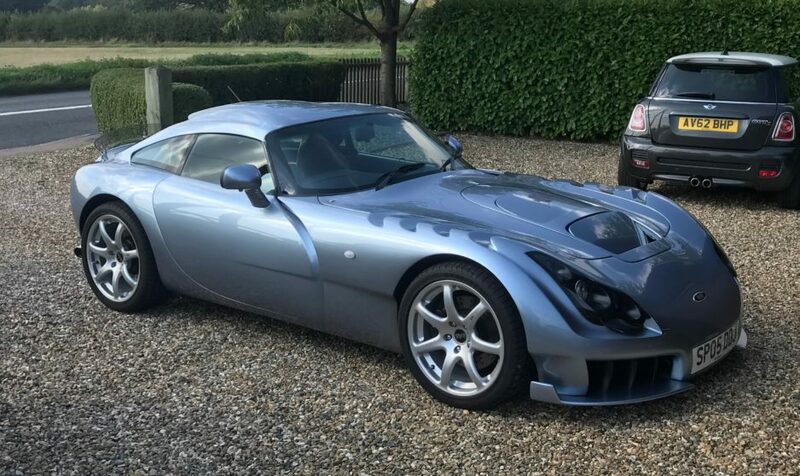 It benefits from air conditioning and sits on a set of unmarked Silver TVR Spider alloys and a set of recent (3,000 miles) Goodyear F1 Eagle tyres. 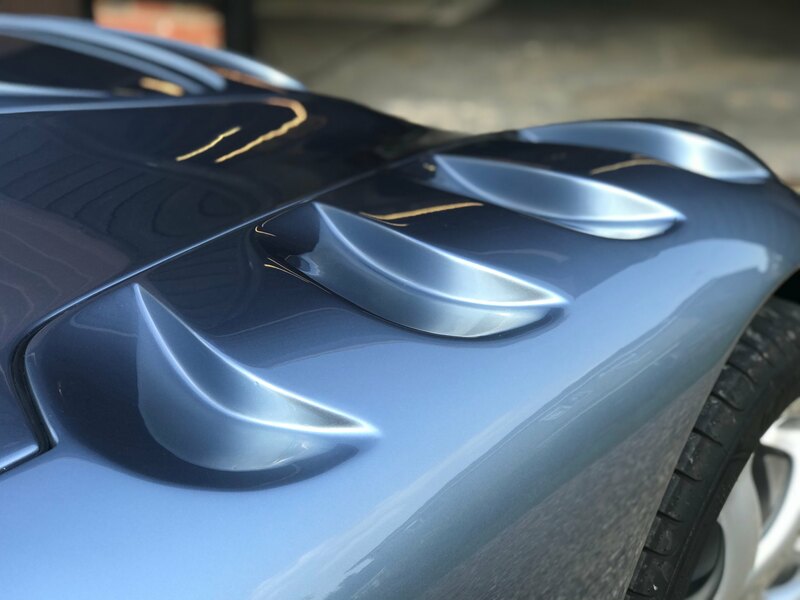 The colour really changes depending on the light due to the pearl finish, more than most cars. 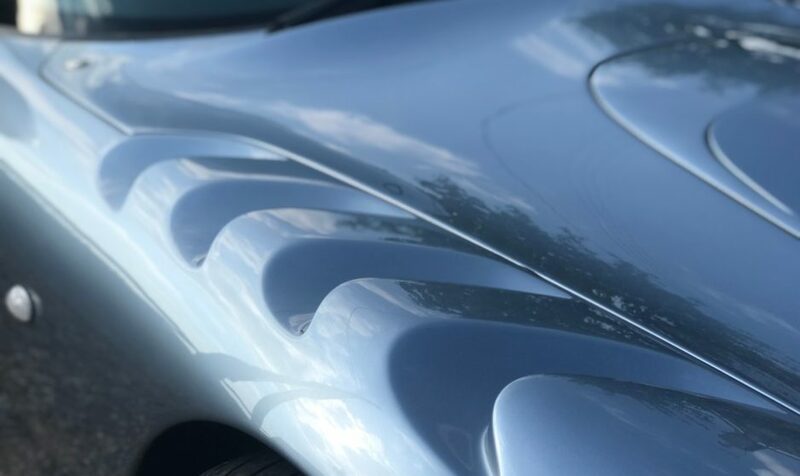 You can see this to a degree in these photos. 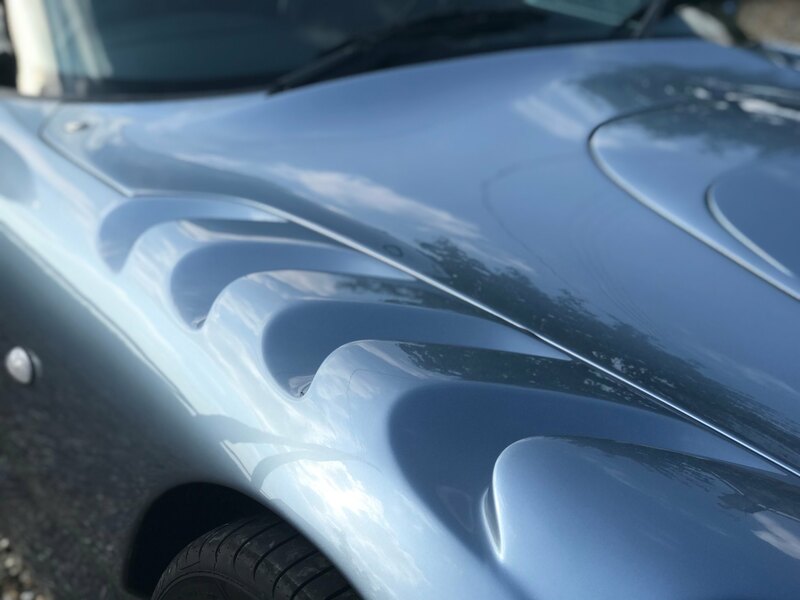 To us it makes the car stand out even more. 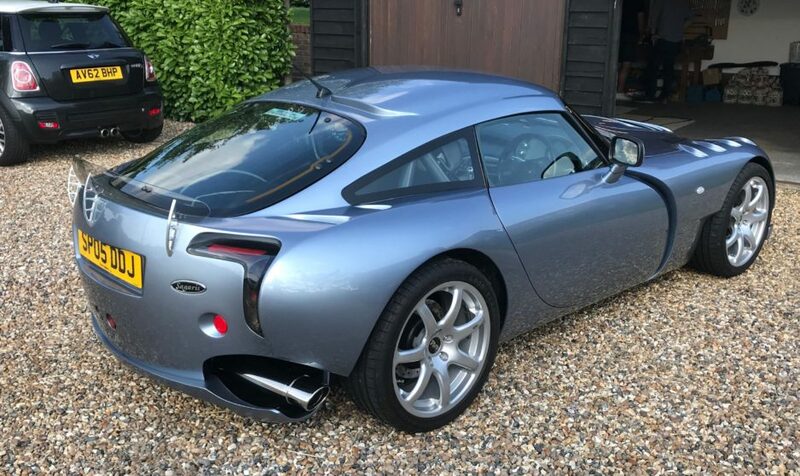 This car looks stunning, and that’s backed up by the fact that in recognition of the condition it earned two ‘Top 3’ places in the “Classic and Sports Cars by the Lake” Classic Car show in Bury St Edmunds in 2015 and 2016. 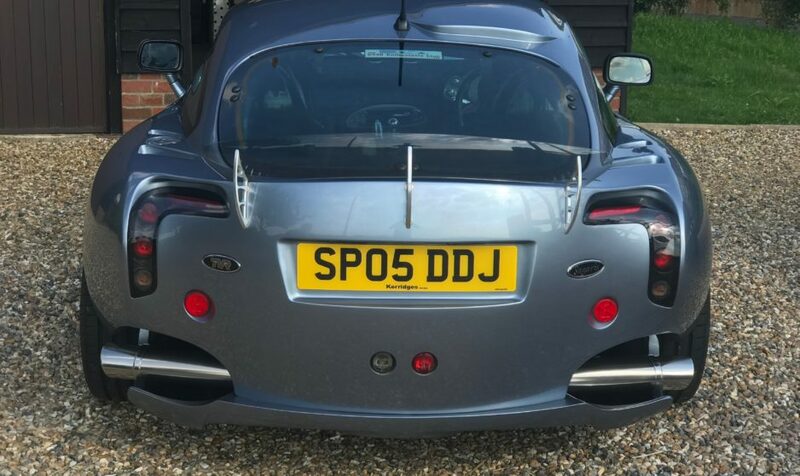 SP05DDJ was registered on 17.6.05 and started life in Scotland. 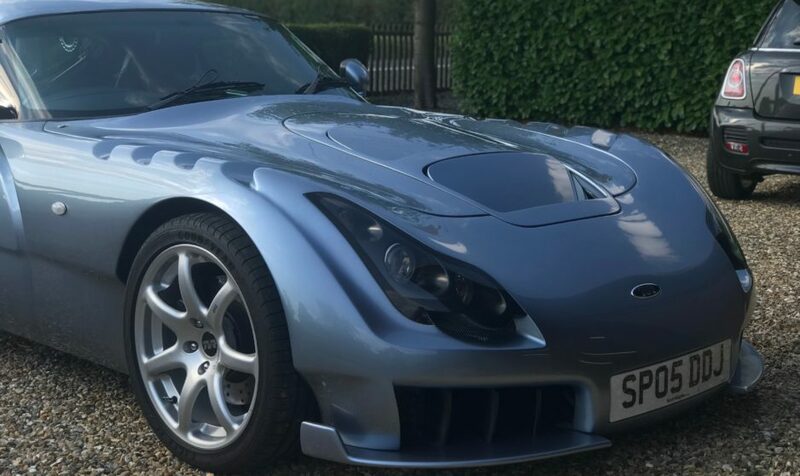 It was sold to an Irish gentleman in 2008 before returning to Scotland in 2010 when it was bought by a gentleman in Glasgow. 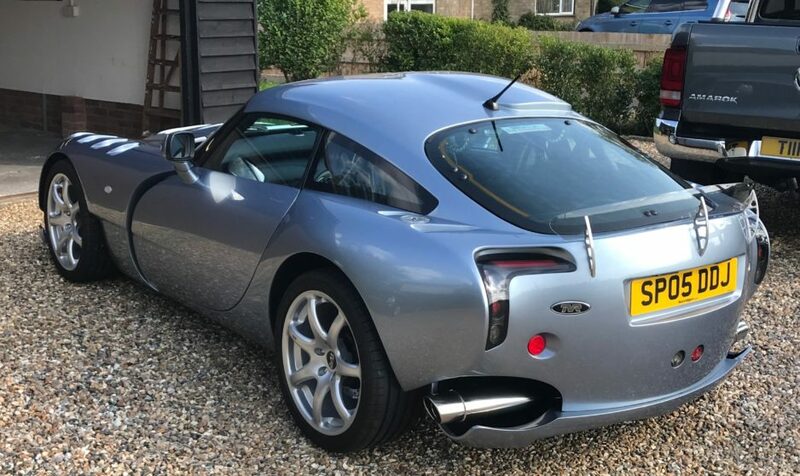 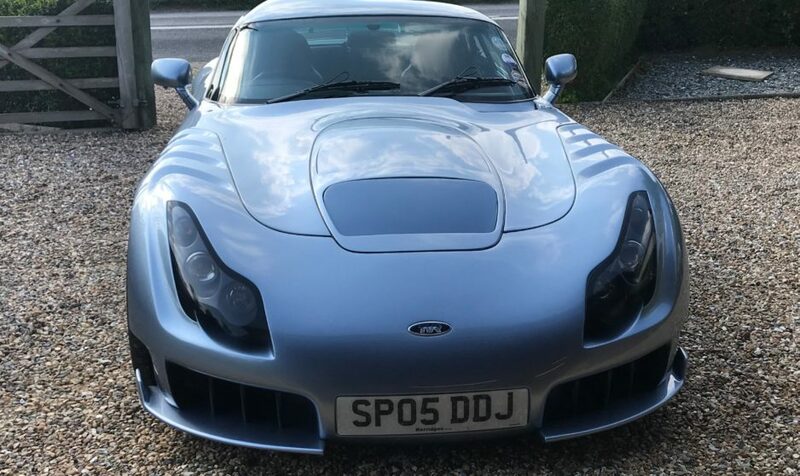 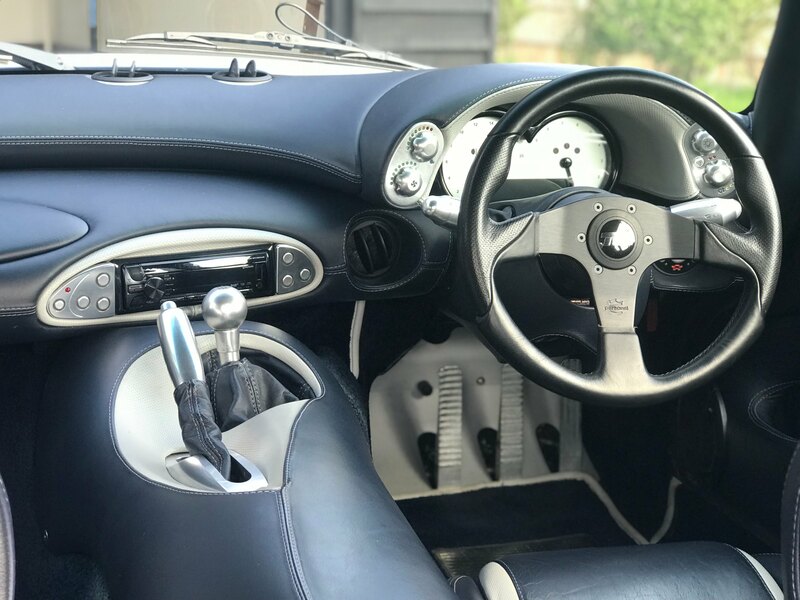 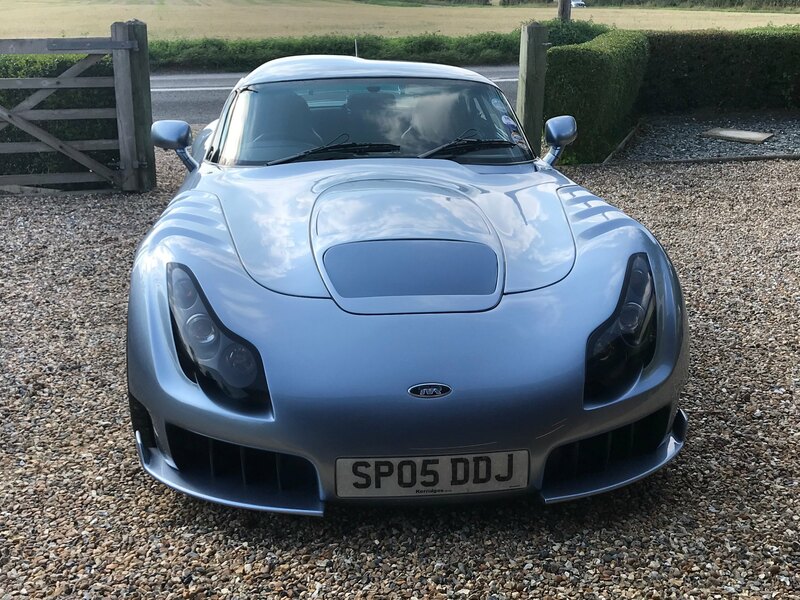 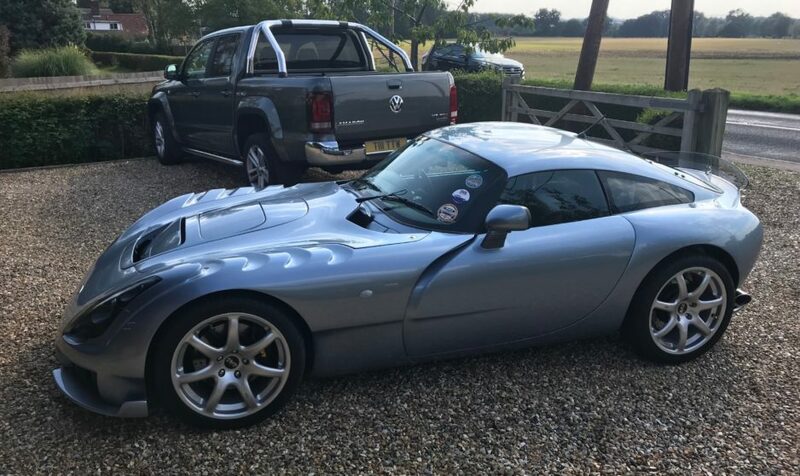 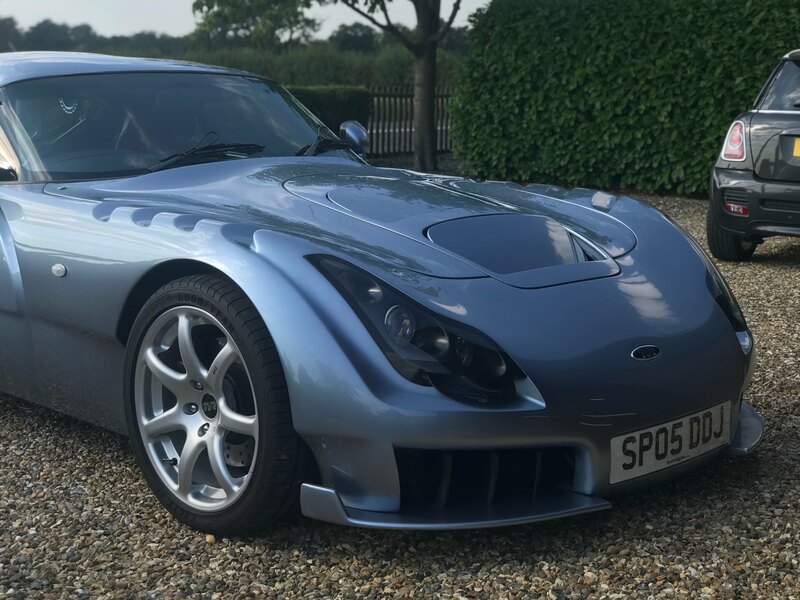 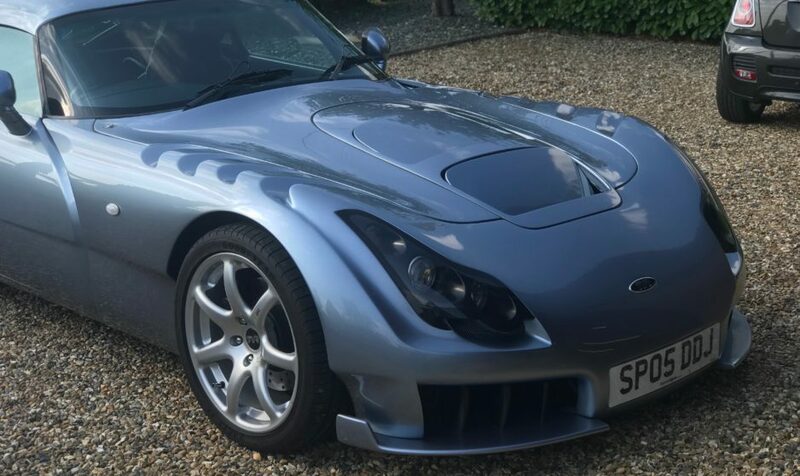 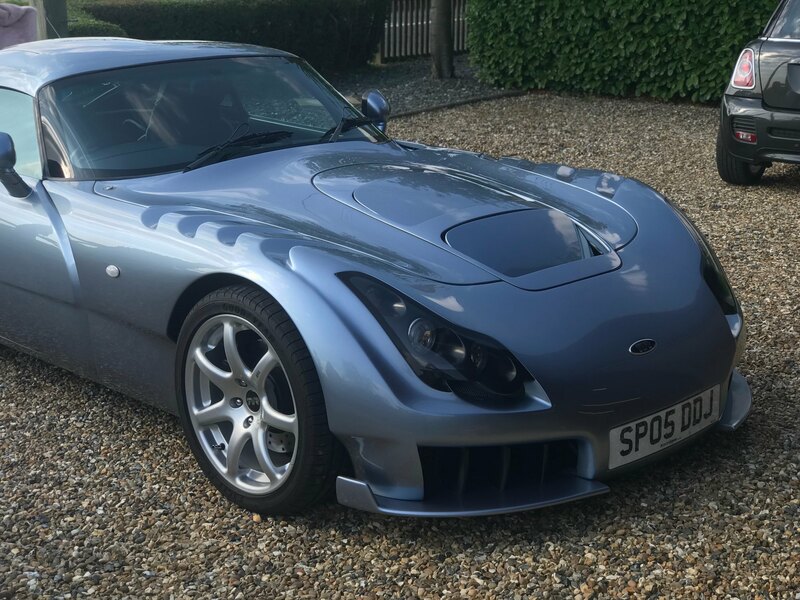 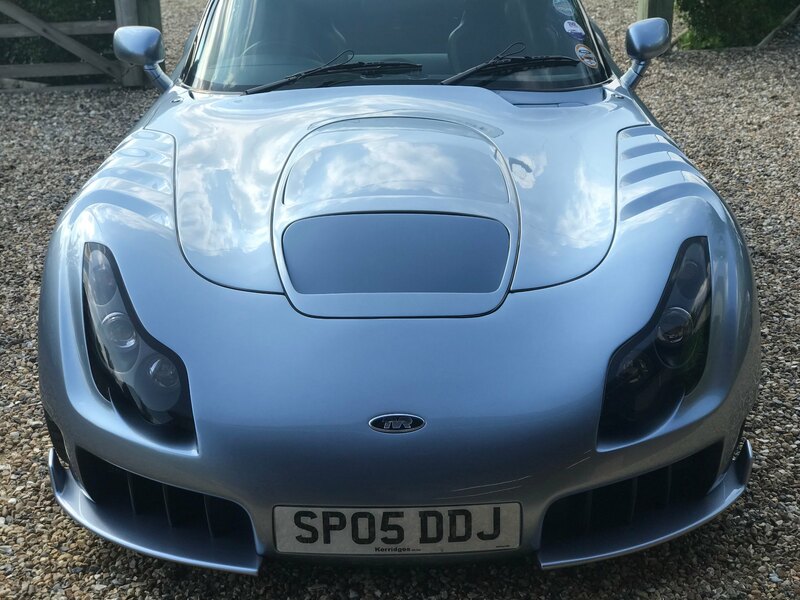 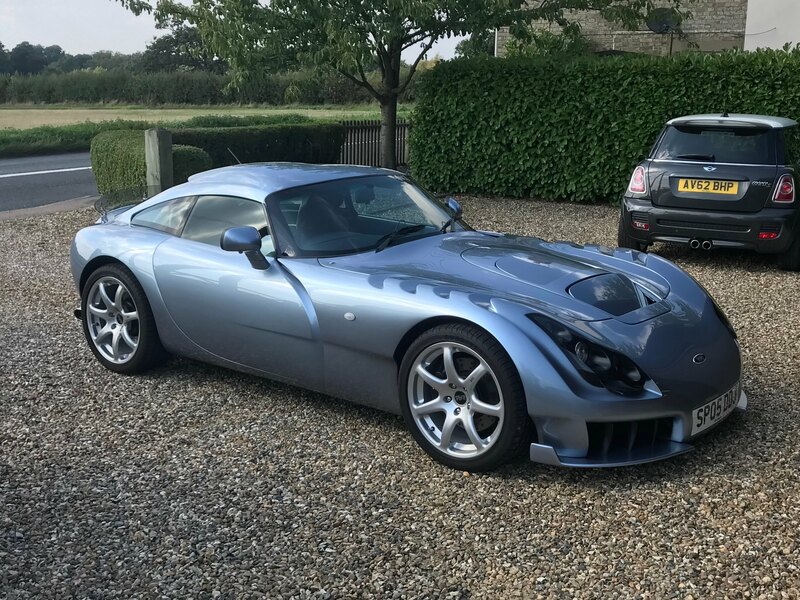 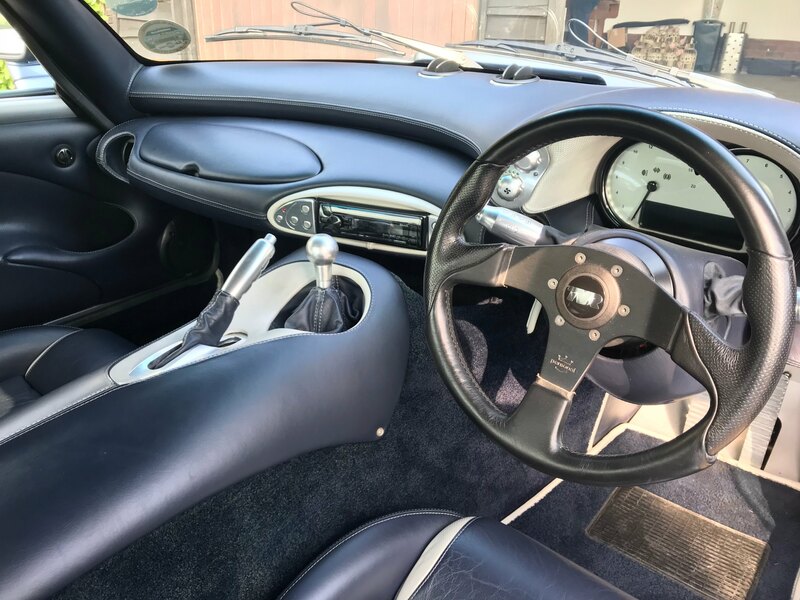 The current owner had the pleasure of meeting both these former owners at the TVR Car Club meeting at Burghley House in April 2017, both are still enthusiastic TVR owners and complimented him on the condition of the car and on how well it had been looked after. 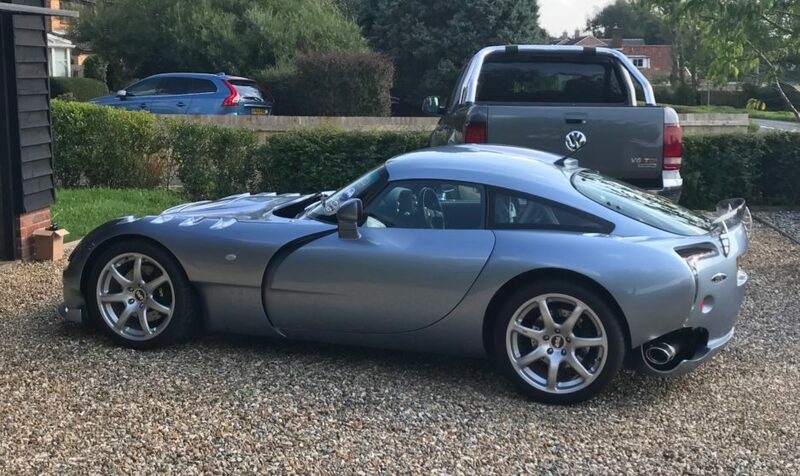 Further evidence of this can be found in the folder of bills and old MOT’s, which accompany the car, and the comprehensive service history (12 stamps) all carried out at TVR former main dealers. 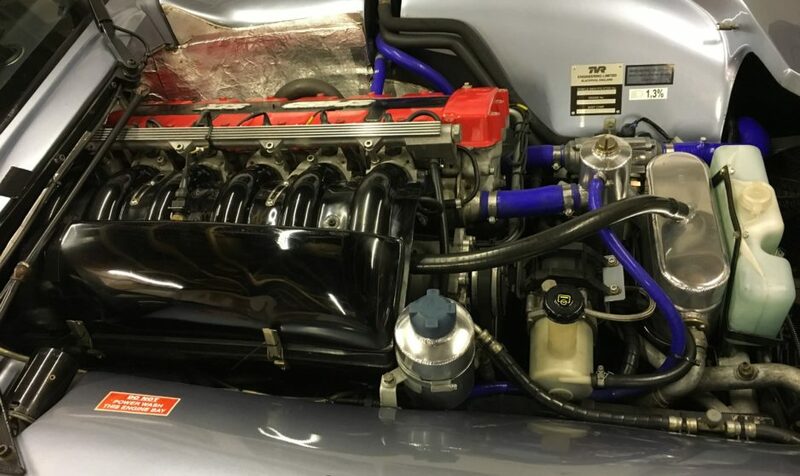 The detail of which will be listed shortly. 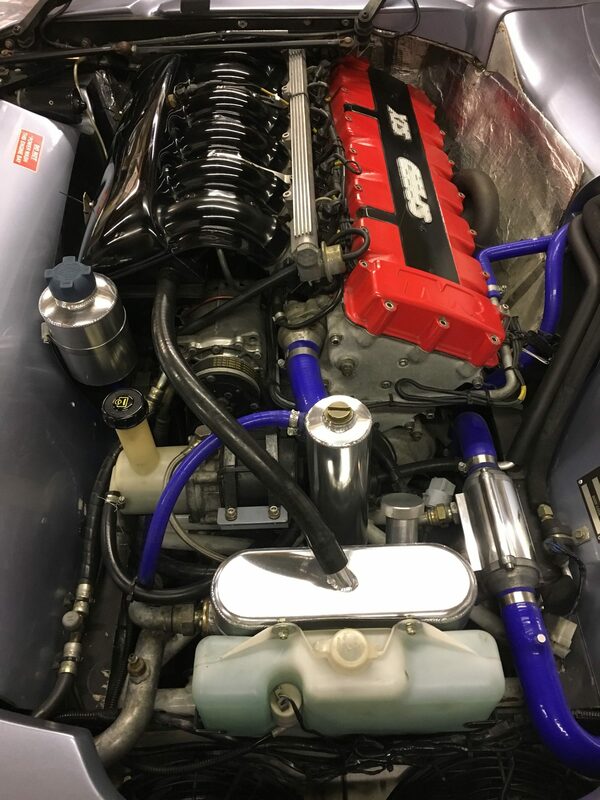 A new alloy radiator was fitted in May last year, the alloys were brand new in 2014 and have covered less than 4,000 miles and the car benefitted from a full wheel set up and alignment with corner weights by John Danby Racing of Colchester in 2015. 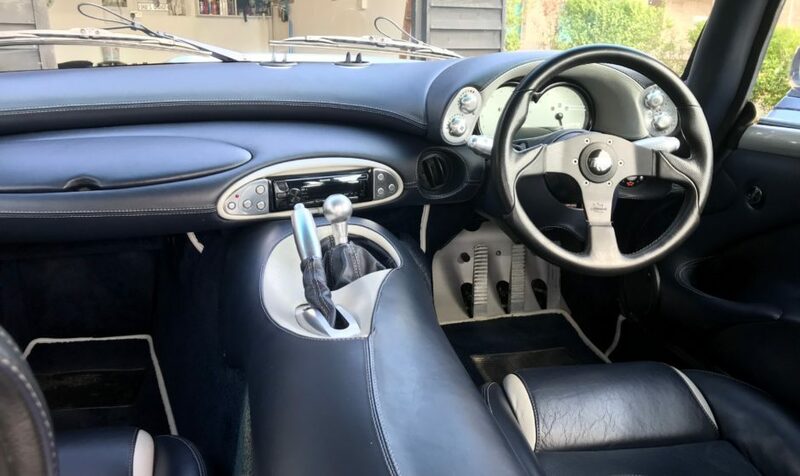 A Kenwood DAB radio/CD player with Bluetooth and remote control was fitted in March 2015 and there is an Accumate charger with under floor charging lead. 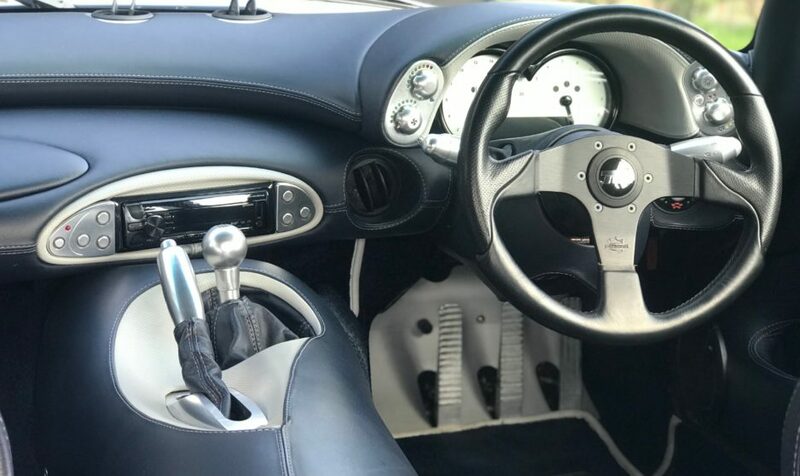 Bills are present for all the above. 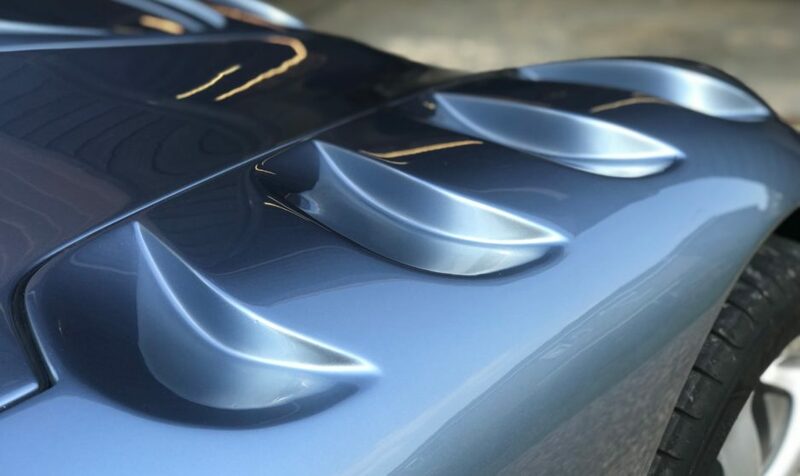 The car also has a nice little feature of a front scuff guard fitted under the middle section of the low point on the front splitter. 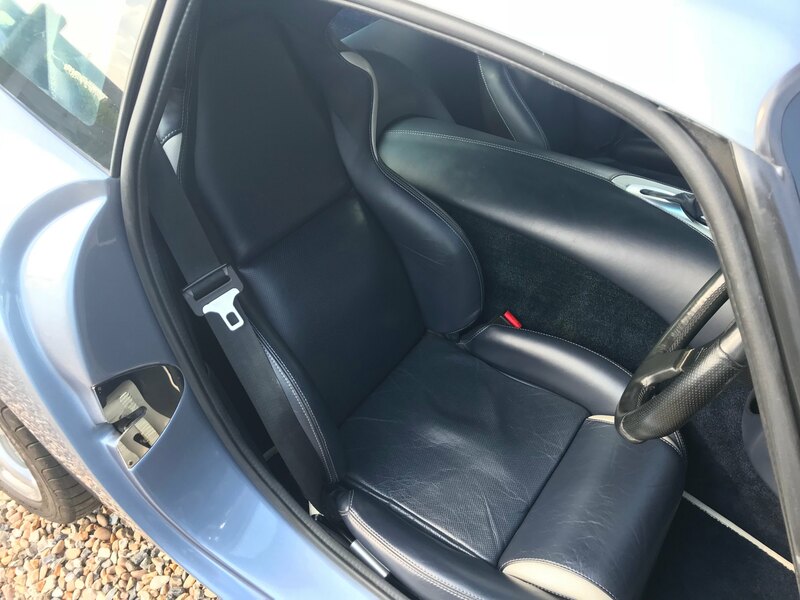 While we were inspecting the car, as is our way, we have to look for any blemishes so to keep our customers as informed as possible. 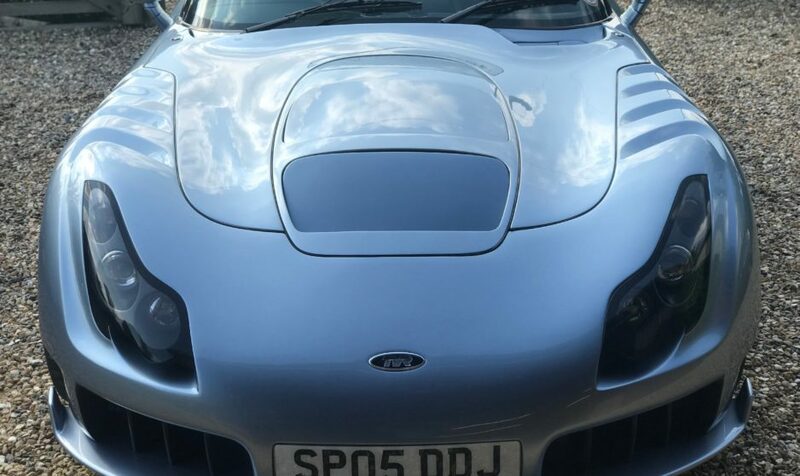 Minor reaction on the N/S rear roof panel from the factory, or more likely a previous paint repair. 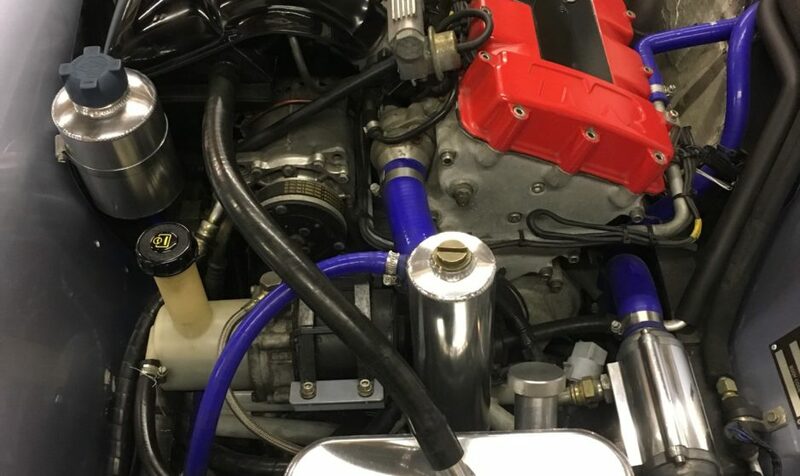 This is very minor, and the current owner was not even aware of it, but 30yrs of looking at cars means we spot these things. 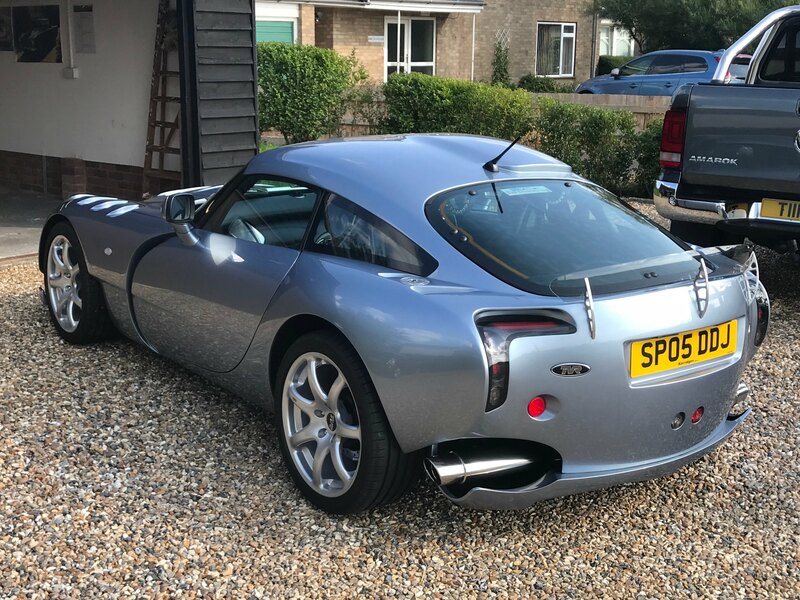 The colour match is fine and it’s more a case of making someone aware rather than an issue that requires paintwork now. 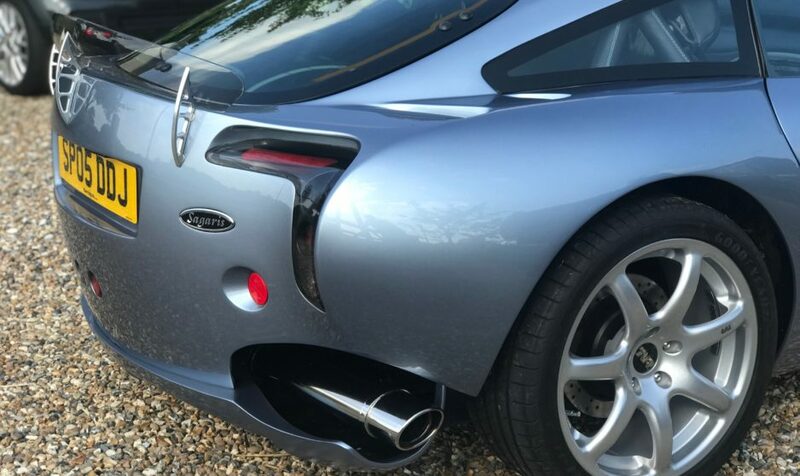 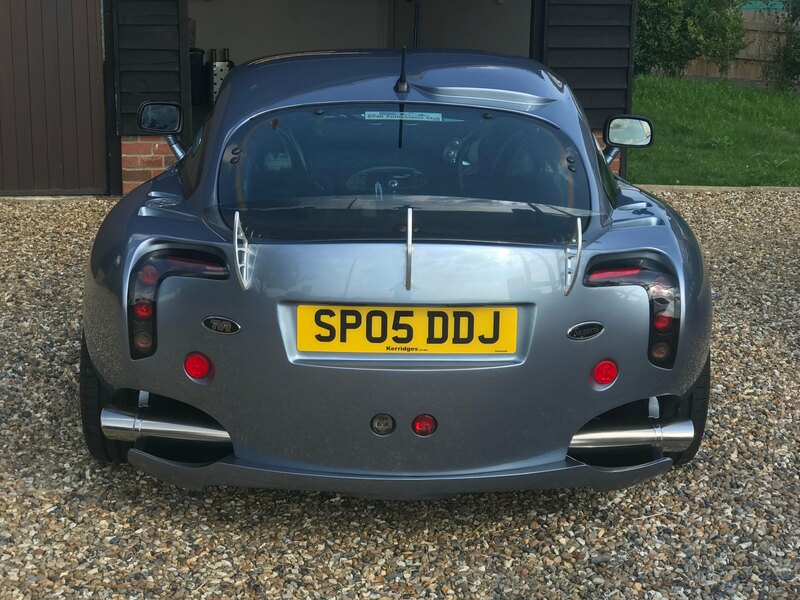 The rear diffuser was painted badly by a previous TVR dealer and is off colour, this would require painting at some point in our opinion. 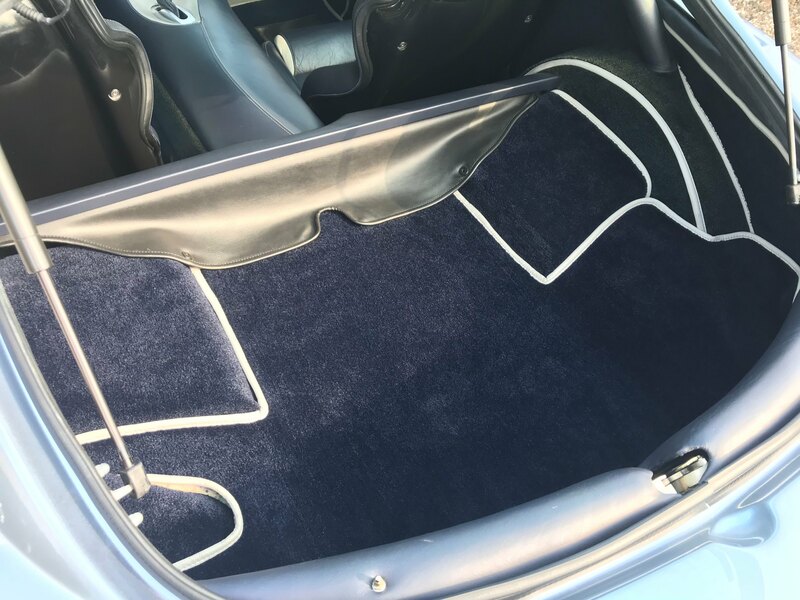 The interior has a little bit of carpet fade on the top surfaces of the tunnel and rear wheels. 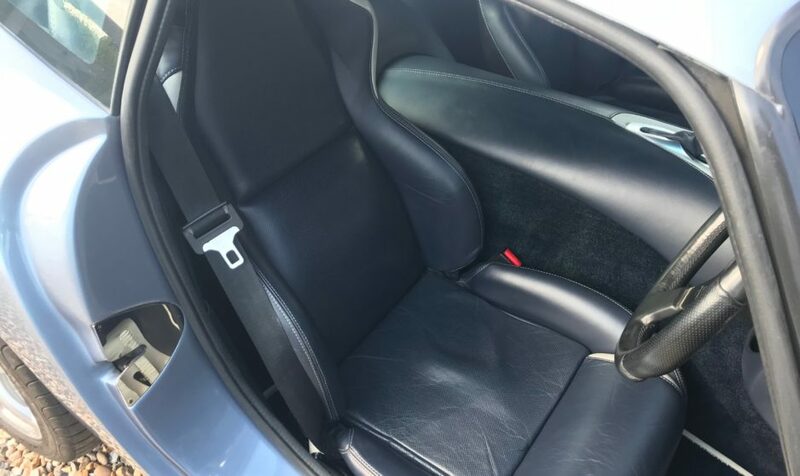 Nothing drastic, but if you zoom in on the photos of the interior you’ll be able to see this. 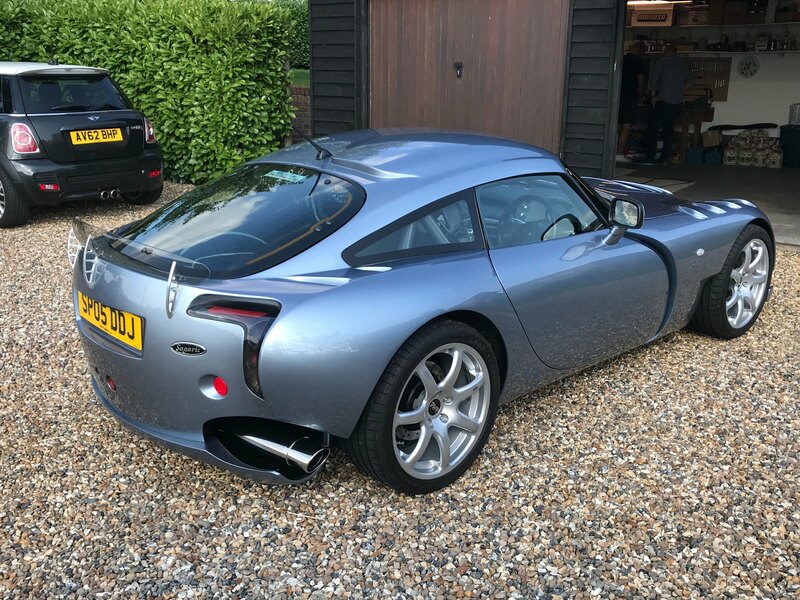 This car is finished and presented to a very high standard, we would recommend it to anyone looking for an honest and well cared for example, in a colour that in our opinion looks very fresh. 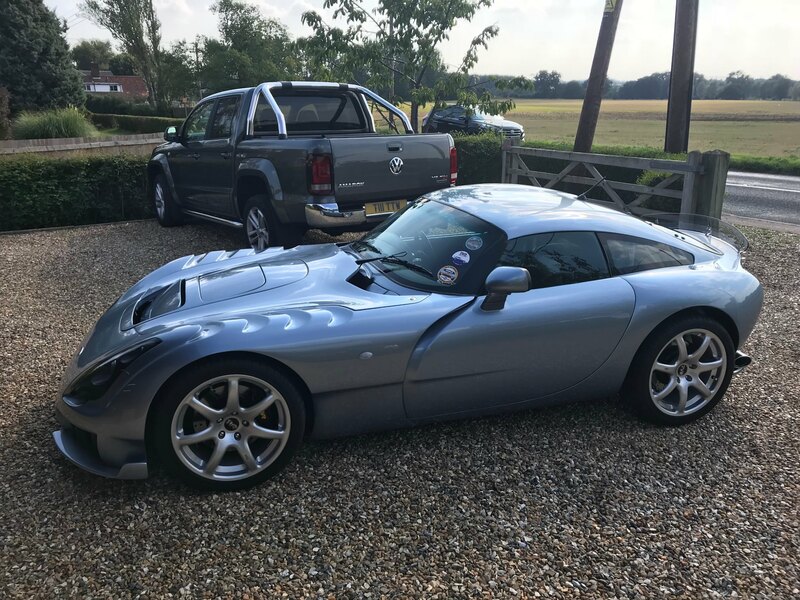 Please get in touch if you’d like to arrange a viewing.